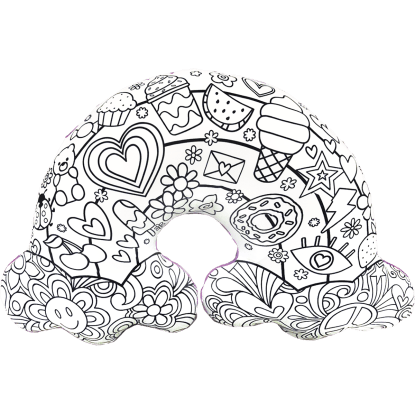 Get creative with our unicorn and stars color me pillow! 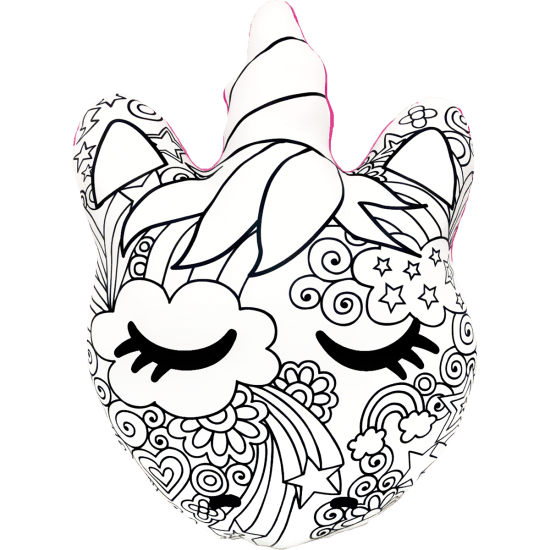 Whether you color the magical designs on this unicorn-shaped pillow yourself or you do it with friends, this pillow will add a super personal, super memorable touch to your room. Fleece-backed, it has a little pocket to hold the six fabric markers you can use to make it your own.